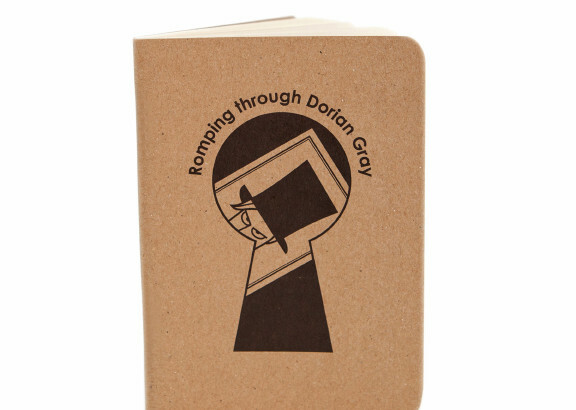 Romping through Dorian Gray is the third in a series of pocket guides by At it Again! Discover the truth behind Dorian Gray’s portrait in the attic. Meet the artist who talks about beauty, the Lord who gossips about everyone and the pretty boy who talks about himself. Find out what’s happening in the story, what to wear and places to visit to bring the novel and Oscar Wilde to life. Arm yourself with some insider titbits and essential quotes for your literary adventure. Did you know that Oscar Wilde was in a love triangle with Bram Stoker? Or that James Joyce was stood up on the steps of Oscar’s home? The Romping through Dorian Gray pocket guide is bursting with illustrations and maps that bring the story to life. Use it to create your own romp through Dorian Gray. It’s also a fun way to explore Dublin, where Oscar Wilde lived for the first part of his life. Dip into it as an introduction if you are reading The Picture of Dorian Gray for the first time, or even if you are at it again! Joining the pocket guide are five fun colour prints with a quote from the original text that are saucy and fun with evocative titles. Find out where to get your hands on them here or order at our online shop. Irish Writers, Oscar Wilde, The Picture of Dorian Gray Bram Stoker, Dublin, Famous Irish Writers, gifts for booklovers, gifts for readers, irish gifts, Irish Writers, James Joyce, literary gifts, literary travel, Oscar Wilde, The Picture of Dorian Gray, unusual gifts. permalink.